Versatility, consistency, professionalism these are the things I give a 110% each day to provide my guests at Mango. I work with lots of busy women who are dedicated to their careers or families (or both!) They have limited time to create a perfect look. This is where I come in to help with fresh ideas and the experience to execute the style, on their timeframe. Using my creativity, I enjoy developing looks through blow-dry techniques and styling products, particularly with short to medium length hair. It is a great end to my time with each guest! Always a great haircut with a wonderful stylist! The best! My hair loves her! I worked with my last stylist for several years and it was hard to think about transitioning to a new person. Jamie has been fantastic and it feels like I haven't missed a beat at all. Jamie did an amazing job! I love Jamie B, she crafts my crazy hair into a sight of beauty - I appreciate her very much; your whole staff is awesome too. Jamie is very talented. She cuts and styles with skill and expertise. I can't say enough about the service Jamie provides. She is excellent in her craft and artistry! Loved my service. Thanks Jamie B! This was my first visit with Jamie and it was great! It can be hard to have a stylist leave and have to find a new one - but this transition seems easy! Wonderful to work with. Thoughtful and excellent in color, cutting and styling! Thank you for fitting me in. Great cut! Always great to see Jamie. She’s amazing! Beautiful color Jamie listened to my concern and gave super advice. Jamie is great with color and cut!! Janie is great. She LISTENS to my needs and does a great job with color and cut. Jamie is great and the color she has come up with for me is wonderful! Macy gave best shampoo and head massage ever! Jamie suggested a new color process that I absolutely love. She did a great jog of increasing the highlights around my face. I would love to come to her again but our schedules are very different so I am not sure that will be possible . Jamie is always pleasant and upbeat - and cares about what you want. Please tell Jamie that when I left and went into work 10 people said "wow, your hair really looks good". I like it too! Jamie listened to what I wanted and did exactly what I asked for. Jamie consistently gives me a great cut that stays looking nice until my next appointment! As always, everything was done well! Thank you so much! everyone is always so welcoming and pleasant! So friendly and organized. It was my first time to go to mango!! Experience with Jaime was wonderful as always! I like her and the way she does my hair. 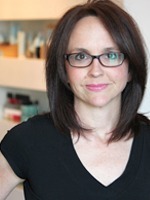 Jamie really cares about her clients and takes a genuine interest in their hair care and styling needs between haircuts. As usual, everything was wonderful! Everything! The friendliness of the people can not be beat! You were able to get me in the same day I called. Thanks! It's always a pleasure to work with Jamie. She always goes "above and beyond" Today I believe she a minute or two between appointments and came over to do the hand massage. That was great. And indicative of the fact that she always looks for ways to provide not only a great color/haircut, but makes the experience itself so enjoyable. It's a nice color, but not what I really wanted! Jamie who did my blowout did a great job. I did love Jamie.. her personality and demeanor. She truly wanted to do what I wanted and gave me good guidance on her thoughts.. it turned out perfect.. and I honestly LOVE my hair..
Jamie was very flexible with determining what was best for my situation. She offered me items that were above and beyond what I was expecting (facial, warm towel, oil for my scalp). She was patient and worked well with me. Jamie is wonderful and makes my experience at Mango excellent!!! She did a perfect job! LOVE Jamie - she deserves a raise!!! Jamie is just great - always listens to me and always delivers. I love coming to mango. Jaime is always wonderful and so is Cheryl. Love Mango. Experience with Jamie is always excellent. Shampoo experience with Jesika was terrific. Thank you for making an appt so quickly and what a blessing - Jamie was incredible - patient, professional, and excellent!!! I was greeted and reception offered to fill up my water bottle for me. Jamie was great as usual and even got me in a few minutes before my appt time. Jamie also took me out to see Sheryl for a makeup touch-up herself, then recommended stylists for my 18 year old. I set up appts for both me and my son before leaving. Ashley gave me a lovely shampoo and hand massage, and Jamie is always terrific. On time and as usual, Jamie was terrific. Friendly service and knowledgeable stylist. Courteous, efficient, clean & neat. It's always a pleasure to see Jamie. She's terrific! Jamie did a wonderful job on my haircut and color. She'd never even met me before, yet she did a fine job. Loved it. The person washing hair and doing hand massage was great. I always have a great experience with Jamie B. too. I have visited Mango twice now- everyone is very nice and there is very little wait. Great, friendly staff. Always patient and willing to go the extra step. such great personal service. everyone conscientious , solicitous, professional. Love my haircut and love the hand massage. It's a relaxing, pampering atmosphere! Always a pleasure to have services performed at Mango. Jamie B. And Sheryl are outstanding. Jamie did a fantastic job with my mini-highlight, and Michelle gave me a great pedicure! Jamie ordered me a Cafe Mocha from Starbucks, and Michelle helped me preserve my pedicure with extra oil and saran wrap so that I could play golf! Amazing service over the top! You were courteous and efficient. My hair looks great. Jamie B, Cheryl and everyone is wonderful. Everyone was friendly and it was great to get a makeup touch up afterwards ! Thank you! Reservation experience is always smooth and easy. Jamie B. is the best. great hair cut! always pleasant and professional. Pat and Bobbi should write a book on how to run a successful business! Jamie B. is always terrific. Very skilled, very pleasant, prompt and wonderful to work with. She really cares about what she does and her clients! It's always a pleasure coming to Mango for any service. It's like family - only nicer! LOL! 1. Were able to book me a hair appointment at an odd, last-minute time and give me a top-ranked stylist for a random shampoo/blowout. 2. Took me on time and got me out quickly and with a great "do"! Jamie B. is wonderful and Holly (I think that's her name) did a really good job with shampooing and hand massage. Michelle and Jamie B are both fabulous, and I always enjoy my mornings at Mango!! jamie b is the best! also had a great shampoo!! thanks mango! Jamie did a wonderful job. Love my color. She even took the time to clip a mistake out from another salon mistake. The shampoo and message was very relaxing. Wonderful experience !